Happy Friday!! We survived the Post-Spring Break Week! WAHOO! 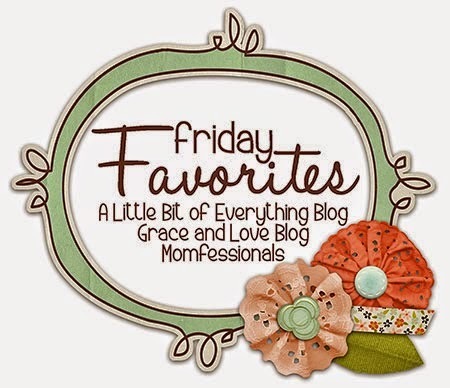 Hope you join Andrea, Narci, and I for our weekly Friday Favorites! I have a random assortment of faves to share with you today! Last Thursday these three boys had a sleepover at our house. Hanging with these handsome boys is a FAVORITE of mine! Then we met up with Mrs. Shay and the girls to switch kiddos. Movie dates with Ebby Lee are always a FAVORITE! Love this girl! My FAVORITE crazies and I had lunch after church at Buffalo Wild Wings. They walked in and asked to have their picture taken by this chicken. hahaha! One of our FAVORITE things to do is take a walk around the neighborhood. We got to do it on Monday after dinner. Bowen didn't want to sit in the stroller, so he walked the entire way! I was super impressed with his little legs! Ebby Lee: "Mom, come watch me climb up the slide." Me: (I walk over) "Okay. Let me see it!" Ebby Lee: (Climbs up barely and is still very close to bottom of slide) "This is as far as I can go!" These three dressed in their FAVORITE green get-ups for St. Patrick's Day! We helped the grandparents test out some media room equipment. By test out I mean, we got popcorn, drinks, and a private showing of Night at the Museum 3. It was definitely a FAVORITE night for these three. Two nights ago I got a text from my cousin, Whitney, to the fam saying that we needed to fill out a March Madness bracket. We were going to have a little challenge. I could typically care less about the tournament, but give me a challenge against the family and the opportunity to be the WINNER! Then I'm all in! I chose a lot of local universities, so when Baylor AND SMU both lost in the first round...boo!!! It was a least FAVORITE moment! I know we still have lots of games left, but right this second...I'm tied for last place. hahaha! Awwww! Sweet Ebby Lee! After you left practice last night Carter stayed on the playground for a bit with your kids, and she was climbing all over the place! I never would have guessed she usually played it safe! And let me tell you, Bowen talked my ear off! It is hilarious hearing that much language come out of that little body! He was all "This is my brother" when he pointed to Nix. And then he pointed at Carter and said "What's that boy's name?" SO FUNNY! I love that yall switch off watching kids to have date night!! What an awesome idea! We may have to start doing this!! And that picture by the chicken is cute!!! The "Where's Daddy?" pic made me laugh out loud! That's so funny!! I also loved your March Madness pic too. Hahaha! Happy Friday! Tell Bowen to stop getting so big. Go Bowen!!! And Nixon looks so much older in the picture with Bowen in St. Patrick's Day outfits! The picture with the crazy chicken is my favorite! ;) Have a great weekend! Your thumbs down face is the best! I am participating in a March Madness pool too, even though I have zero knowledge about NCAA. I picked Kansas for the win, we'll see!